Greene County has been awarded nearly $1.7 million in economic development funding, state officials announced Thursday. An overall award of $83.1 million was granted to the Capital Region, an area encompassing Columbia, Greene, Albany, Schenectady, Rensselaer, Hamilton and Warren counties, according to the state Regional Economic Development Councils, a division of Empire State Development. Columbia and Greene counties are set to receive $5,390,888, with Columbia County organizations awarded $2,778,608 and Greene County organizations taking home $1,694,650. A further $917,630 was awarded to agencies with ties to both counties, including an $875,000 award to begin phase two of the Hudson River Skywalk. The announcement was made Thursday afternoon at the state agency’s annual awards presentation in Albany. Gov. 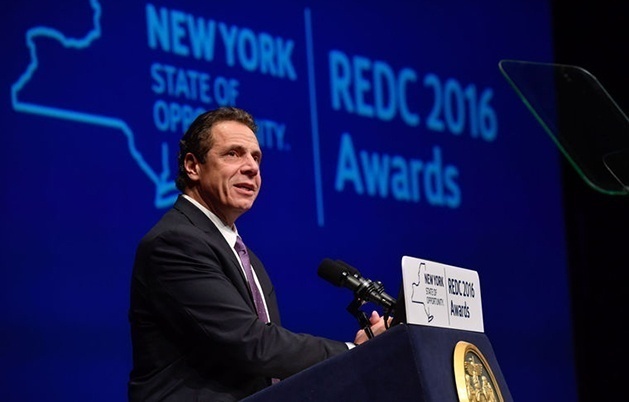 Andrew Cuomo said the awards, presented to each of the 10 economic development regions in the state, are part of an ongoing plan to revitalize and grow the economy statewide. “You’re going to see growth in upstate New York as this cycle turns like never before,” Cuomo said in a statement. The event was the sixth annual awards presentation of funding for projects focused on creating or retaining jobs, expanding economic opportunities and promoting tourism. While presenting the award to Capital Region Economic Development Council members and stakeholders, state officials praised the region’s investment in the arts and tourism, while highlighting the flourishing microbrewery business community in the region. Greene County Administrator Shaun Groden hailed the $75,000 promotional grant as a key support for Greene County’s biggest economic driver — tourism. The largest grant awarded in the Twin Counties was for the Hudson River Skywalk Phase Two project. 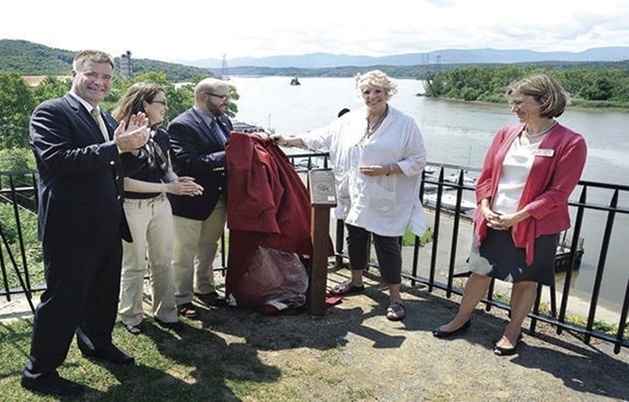 Groden said the $875,000 will be used to connect the Rip Van Winkle Bridge to the Cole House and Olana through the installation of sidewalks and handicapped-access routes. “This is huge,” Groden said, adding the state award is a sign the state supports Greene and Columbia counties’ plans to complete the Skywalk with improvements to the pedestrian path on the Rip Van Winkle Bridge. As an integral part of this award, the Greene County Microenterprise Assistance Program (MAP) received $200,000 in new funding to provide grants and grant/loan combinations for job-creating project that benefit low to moderate income persons. The program assists in the establishment and expansion of small businesses that are start-ups or are in business and have five or fewer employees, one of which is the owner, and the creation of new jobs through business training, funding and technical assistance. Eight microenterprises will be assisted county-wide, including at least 4 start-ups. The program also includes an educational training component that is required for participants. At Thursday’s award presentation, Cuomo said economic development remains his top priority and pledged to continue to support upstate economic development with next year’s state budget. “I will never sign a budget that does not help upstate New York with the economic development funds it needs,” Cuomo said. Read the full story by Greg Hudson at The Daily Mail.